"Please Stop the “Development” of Mount Kailash and Lake Manasarovar for Profit"
Nine years ago, I made a pilgrimage to Mount Kailash, where I spent nearly 20 hours walking the 50km path that circled up the mountain. When at last the wonderful shape of Mount Kailash appeared in the distance, it was just like looking upon the symbol of Buddhism--like the Mandala flower, so pure, bright and clean. For non-religious people, it is only a normal mountain. But today, for profit-driven businessmen, it has become a novelty attraction to bait tourists, and a way of making money. 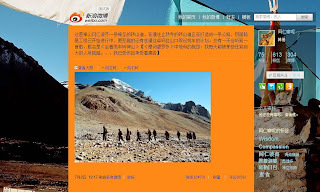 Recently, on the Sina Weibo micro-blogging website, friends who have just returned from Mount Kailash revealed that they witnessed construction projects on the mountain trying to widen the paths, and build a new highway. 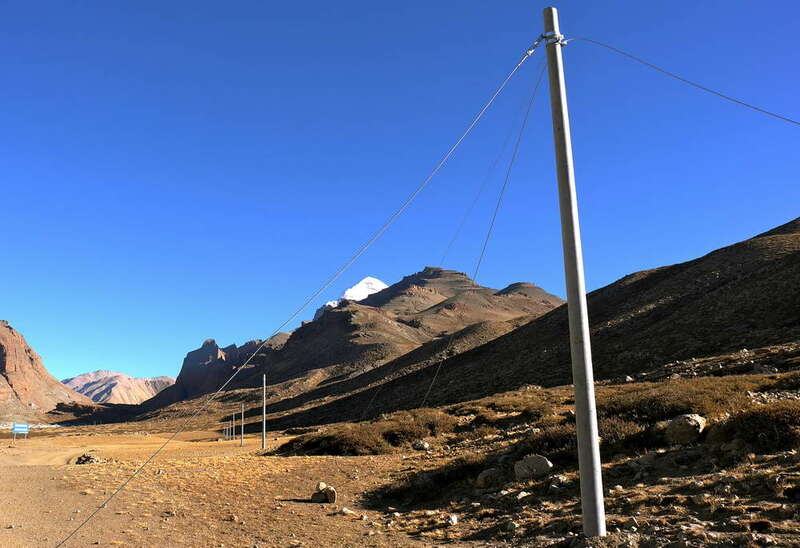 Soon enough, all kinds of vehicles will be able to drive up to Darchen Monastery, and some have even seen the erection of cable poles along the hillside. 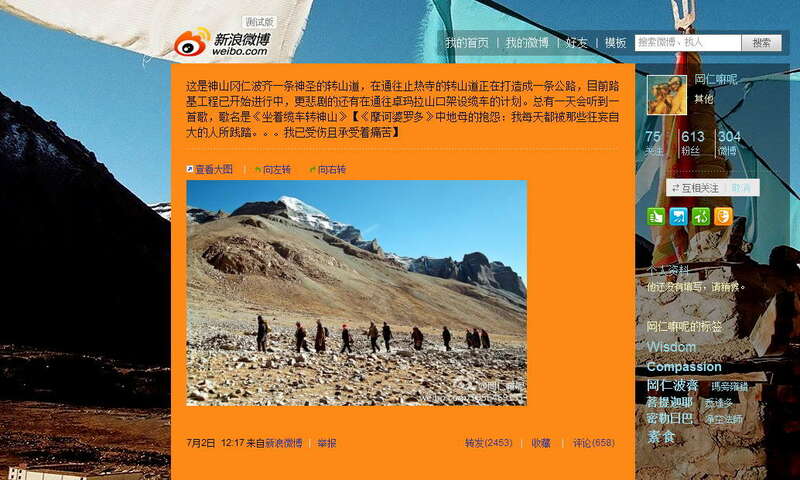 As I understand, the Tibetan Tourism Company is a subsidiary of the Beijing-based Guofeng Company. 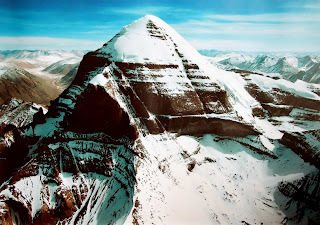 They have been “contracted” to take over the holy Mount Kailash, as well as Lake Manasarovar, and turn them into tourist areas. 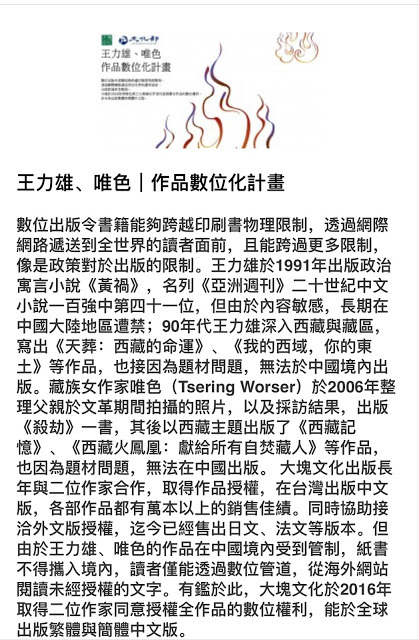 From the internet, I have discovered that The Tibetan Tourism Company in 2010 began publicly trading, using the Holy Mountain and the Sacred Lake as a way of selling shares. It is now known as the “Tibetan Kailash Manasarovar Tourism Development Project”, and includes “the development of the scenic area, the building of hotels and restaurants, purchasing of environmentally-friendly vehicles, oxygen plants and other facilities, etc.” In the future, they plan to have “a big entrance gate, scenic viewing towers, scenic motorcars and roads etc.” Apart from the commercialisation of the sacred, religious site, the construction of oxygen plants and other facilities will also result in greater emissions and pollution to environment. This year, a cross-country competition on Mount Kailash will run in secret from July 31 until August 11. The company responsible for this is the “Beijing Extreme Experience & Outdoor Adventure Company”. On their website, it states their fees for taking part as: “Business Team: 68,000 Yuan per team, Non-commercial Team: 56,000 Yuan per team, Individual: 15,000 Yuan per person”. 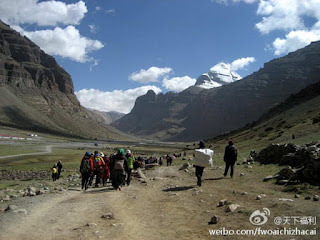 Although this activity is allegedly for charity, it is a sign that the long arm of business has already begun to butcher Mount Kailash for the sake of profit. This is not merely speculation, because there are many other sacred mountains and lakes, all doomed to suffer a similar fate and be butchered on the chopping board of business. Today Mount Kailash and Lake Manasarovar reside in the administrative divisions of Puhreng county, in the Ngari region of Tibet. 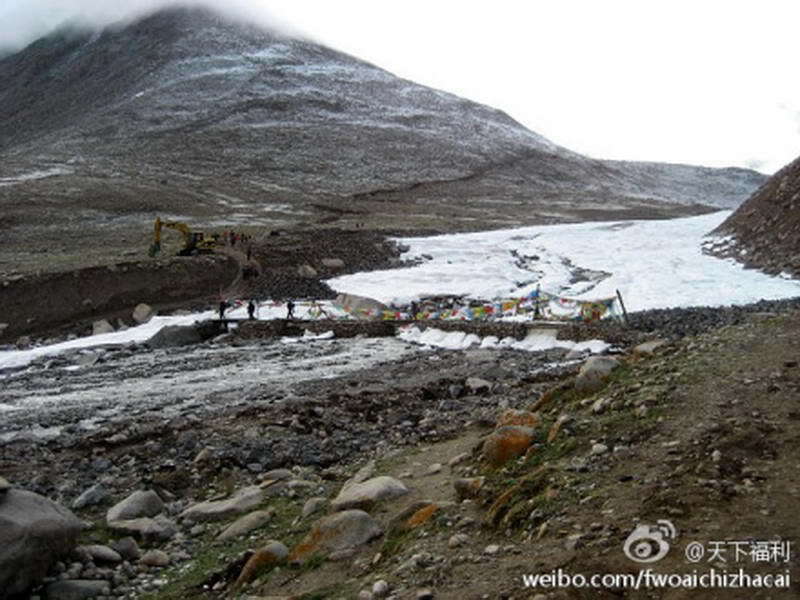 People who understand Tibetan and Indian culture know that this is not an ordinary mountain or lake. Of the four main religions - Buddhism, Bön, Hinduism and Jainism - all agree that out of all the holy sites, this is the most important “sacred ground” (according to the words of the Buddha), because traditionally, to worship at Mount Kailash and Lake Manasarovar was an essential experience in life. The walk around the mountain and lake is a continuation of the traditions of pilgrims in the past, because only through the physical act of walking, and the “labour of the bones”, can one achieve religious sublimation. It is completely unnecessary to build highways, or have tourist cars travel these paths. On the contrary, highways and touristic cars will only to attract a certain kind of person. If we take the logic of cultural anthropology, this is a kind of “touristic imperialism” in order to blaspheme and destroy the holy mountain and lake. It is as if there is someone ridiculing : “One day you will hear a song, and that song will be “Sittin' in the cable car, circling the holy mountain””. 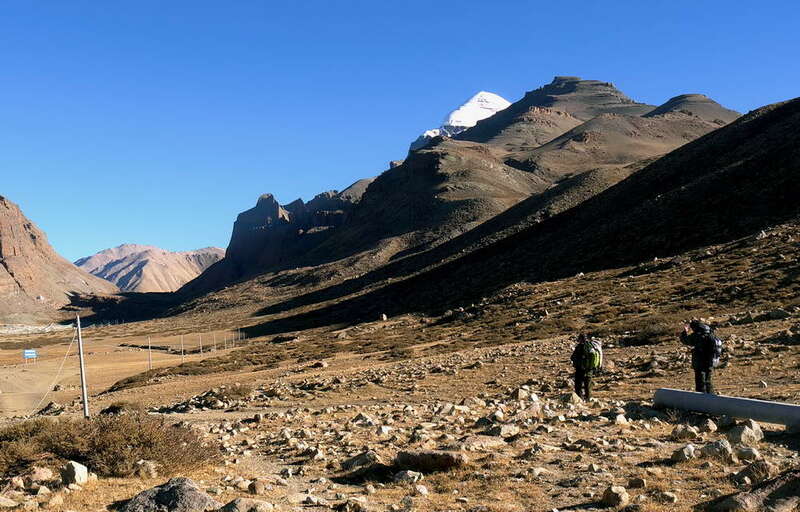 Mount Kailash and Lake Manasarovar is a specific sacred area, and every blade of grass, every tree, mountain or drop of water is treated with care by the Buddhist nation who has historically always protected the natural world and all livings things. This is reflected in their concept of a “cultural environment”, which has retained a place for human beliefs and traditions. Mankind has a shared belief of “natural heritage” and “cultural heritage”, and these things should be treasured, but most of all respected. His Holiness the Dalai Lama plans to visit America soon, to meet with hundreds of Chinese scholars to discuss the future of China, the fate of Tibet and other topics. These discussions are of great theoretical significance, but what is more pressing at this moment is that Tibet is currently being devoured and torn apart for profit. 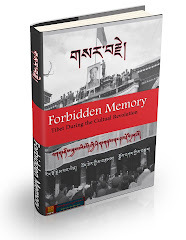 If we cannot put a stop to this exploitation, and wait for Chinese democracy to solve this problem, Tibet will be soon dead and buried. Therefore, we must open our eyes and put a stop to the greedy actions of businessmen, and let everyone in the world know about the destruction to the Tibetan environment, cultural traditions and way of life! For this reason, I would like to call for democracy and justice, and compel the people of Tibet to use their power to protect our sacred Mount Kailash and Lake Manasarovar, and to bring the topic of Tibetan culture and way of life into urgent attention.